The conditions of entry for the latest competition organized by the the Setba foundation, Setba Jove 2016, have now been published. The selected works will be exhibited as part of the project ART NOU. 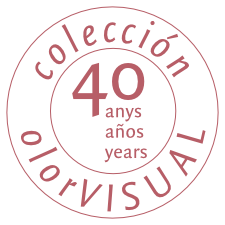 There is also the possibility that a work may become part of colección olorVISUAL if it accords with the spirit of the collection.